The first ink in the collection is Rouge Hematite. At first more of a dark red with green sheen, it was later reformulated and legend goes it now has more gold sparklies similar to Stormy Grey. I alas have the first bottle, with very unobtrusive amounts of gold glitter. 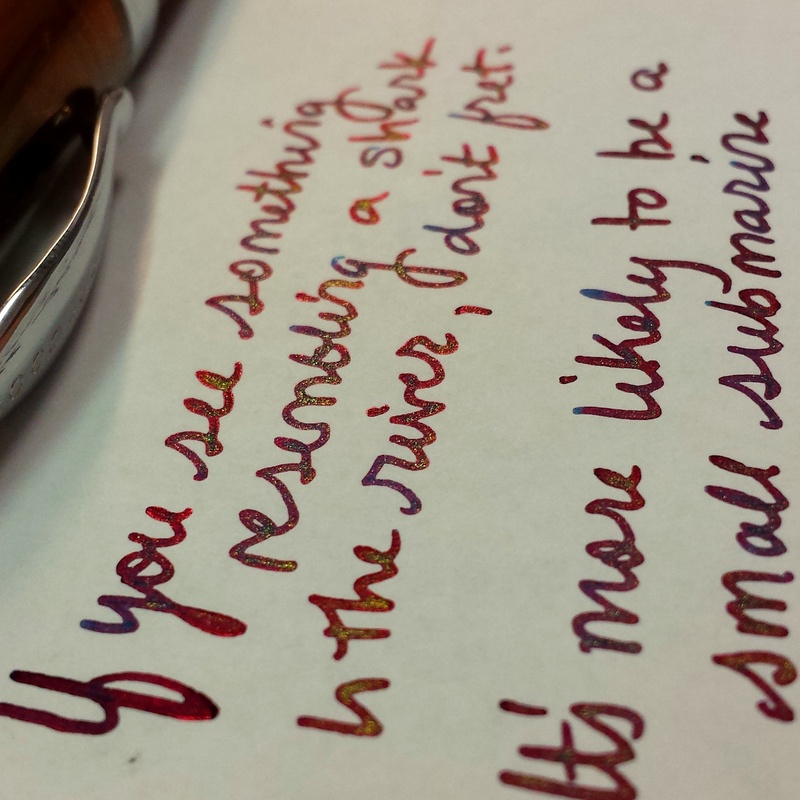 Below is a pic from my bottle written with a Noodlers Ahab. 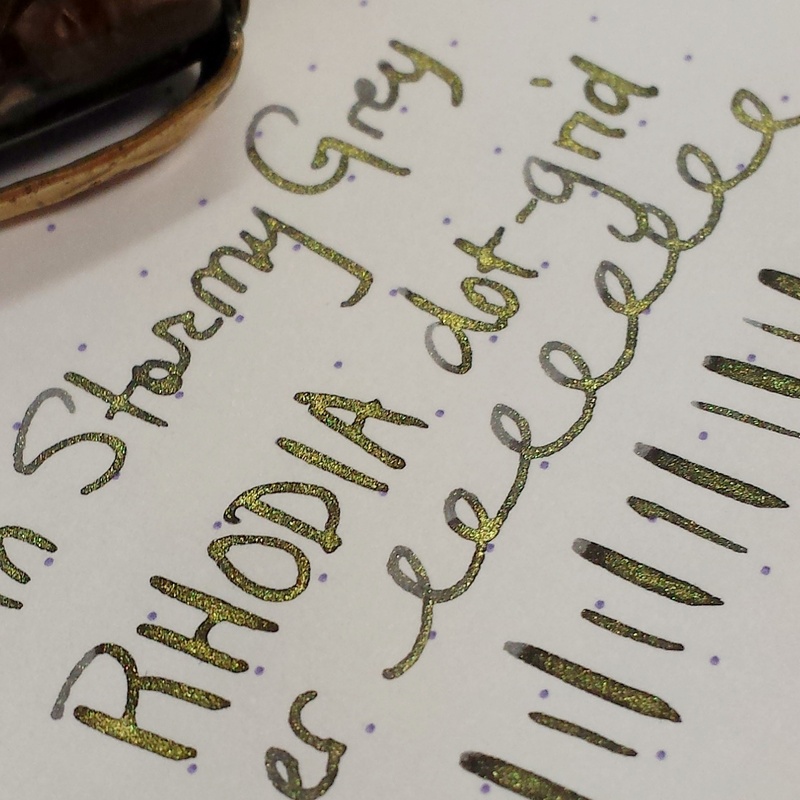 The second ink in the collection is Stormy Grey, a warm gray with heavy gold accents. 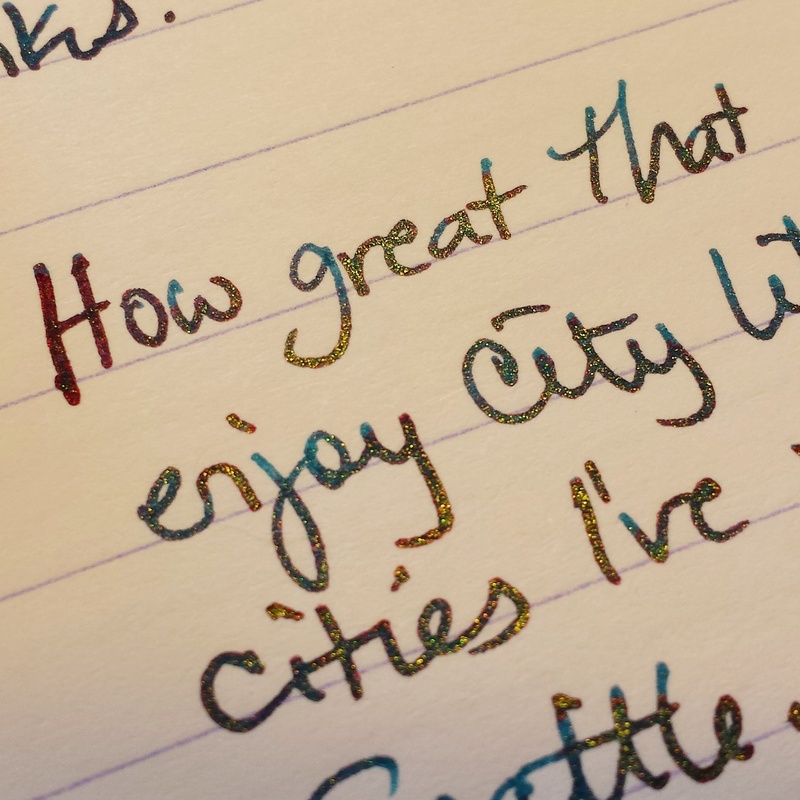 The third ink is Bleu Ocean, which I do not have a bottle of yet so have no sparkly ink shots to share. But Google has plenty to go around! 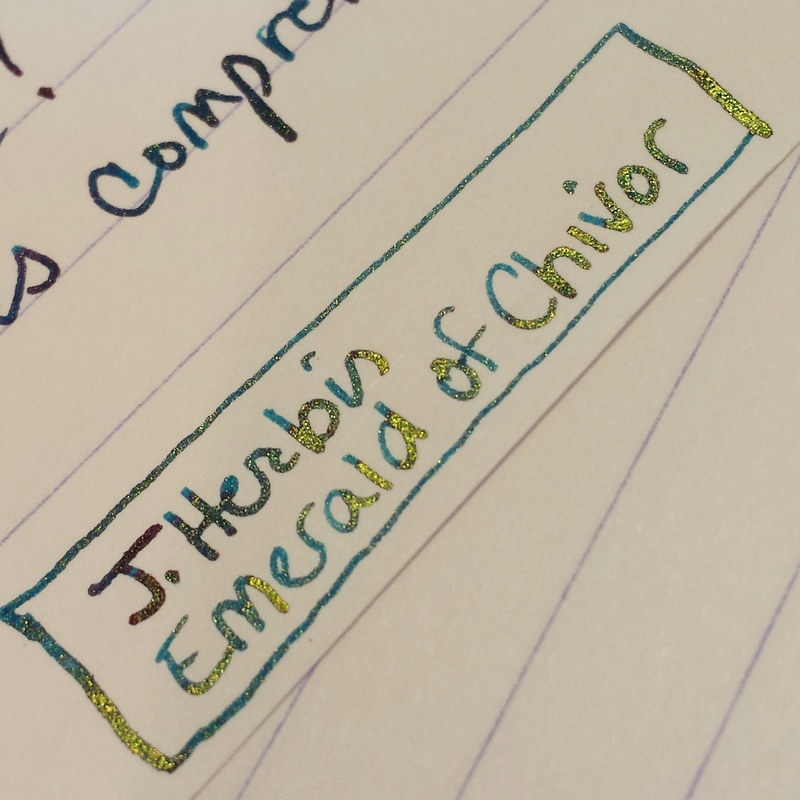 Emerald of Chivor is the 4th in the 1670 Anniversary line of inks by J. Herbin, this ink is a dark teal green that has a completely unexpected and wondrous red sheen in certain papers, especially the magically delicious Tomoe River Paper. Here are some comparisons on different papers. 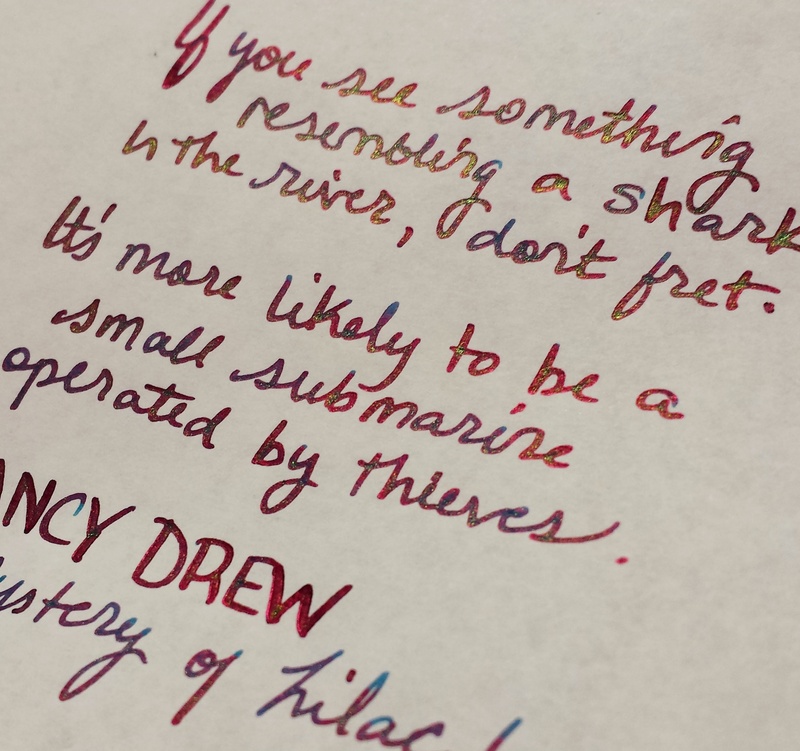 Here are samples of EoC written on Tomoe River paper with the Noodlers Ahab – you can see how the red sheen pops out, it literally becomes a different ink before your eyes. Moral of the story? 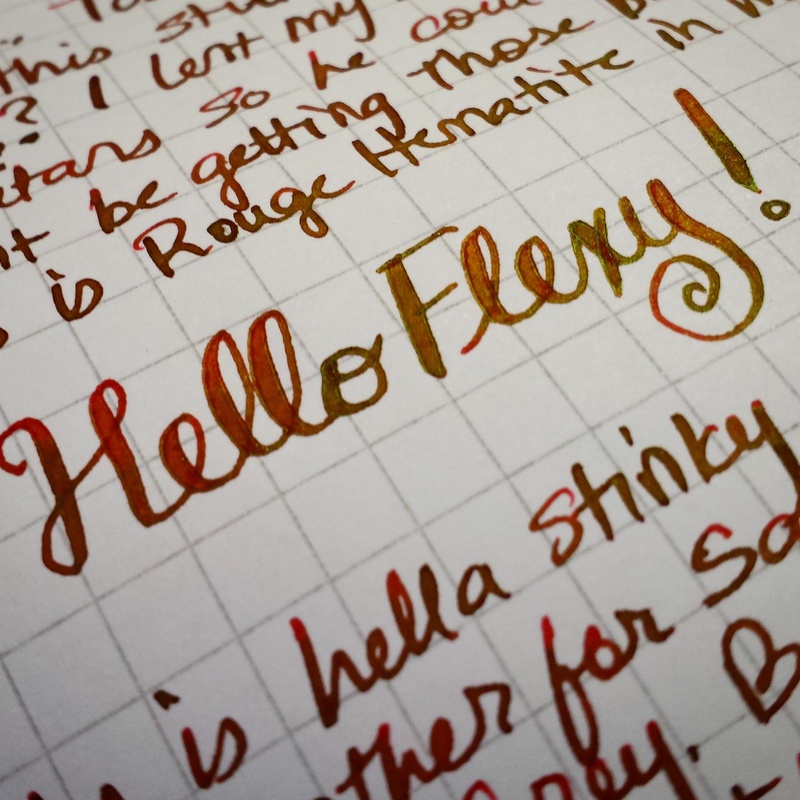 To get the wicked red sheen, use Tomoe River Paper. 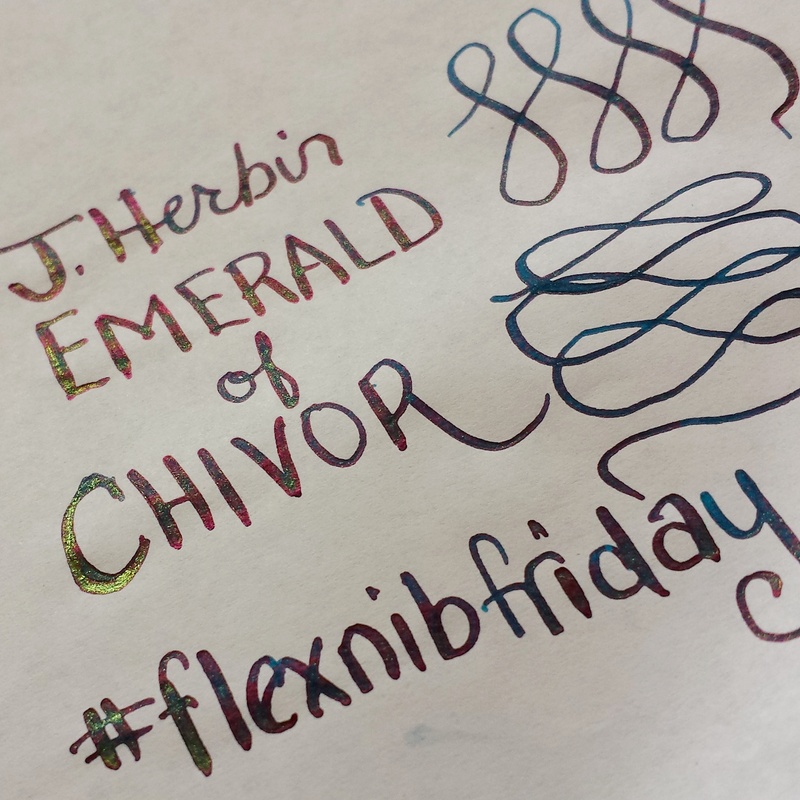 If you’re good with a dark teal green with ridiculous amounts of gold sparkle, then enjoy on the paper of your choice. 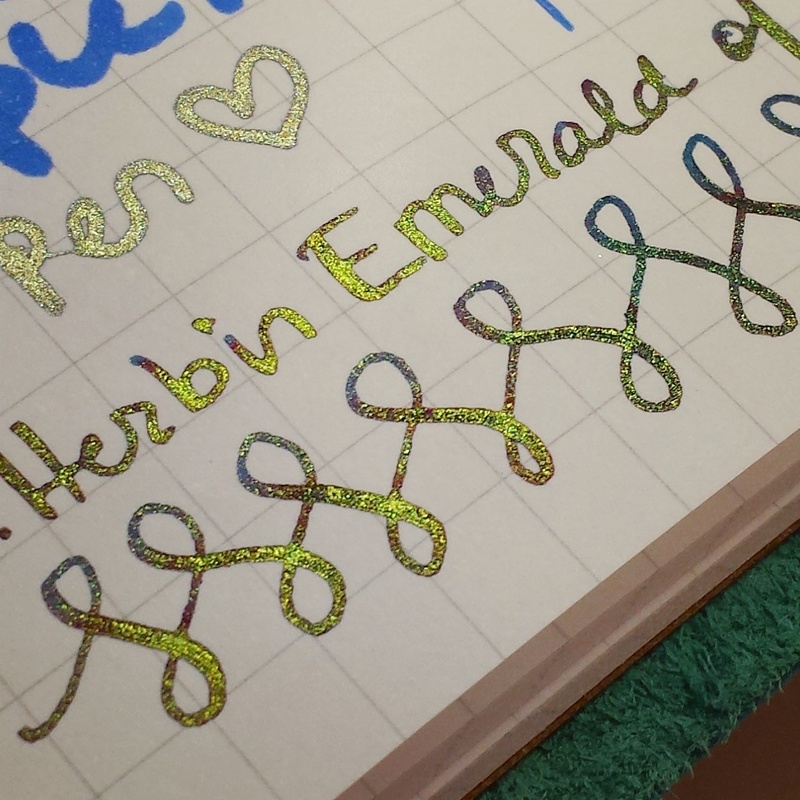 And mostly I just wanted to share in my sparkly gorgeous ink pics haha.